Gearing Up - Mustangs, Etc. For America, manual shifting out of necessity has been something nearly extinct for quite some time. The days of manual shifting for style seem almost up too. Different attempts at automatic gear shifting in automobiles have been explored as early as the 1890's. Many designs emerged using various means of operation. Some early vehicles unsuccessfully employed equipment to aid in ease of shifting as well. Most of the devices on the market were typically seen as unreliable and not much was standardized. Brazilian engineer duo José Braz Araripe and Fernando Lehly Lemos decided that hydraulic fluid would be the most reliable approach and began drawing up plans in 1932 for their automatic transmission. 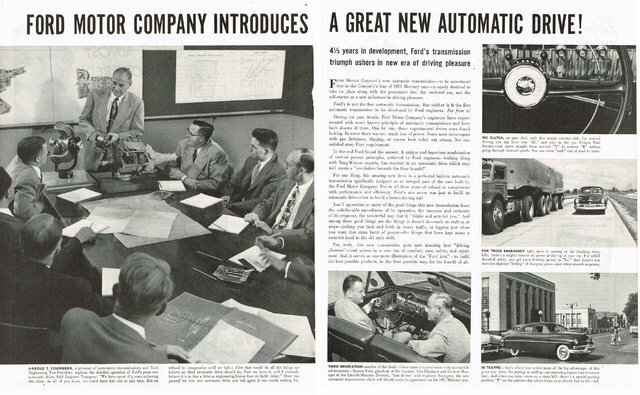 The documents and a prototype were eventually sold to GM who continued working on the design and began building the new developments into tanks during World War II. In 1939 the "battle-tested" General Motors Hydra-Matic was released to the public and became available as an option on 1940 Oldsmobiles. Drivers everywhere sighed in relief. Technology became cheaper and shifting became even smoother. Over time, automatic transmissions have started to become the standard in the US, many car companies relegating manual transmission to the position of option, especially on luxury and sport models, often at a higher price due to lower demand. This year, great automotive rivals Ford and General Motors have been hard at work in collaboration to further driving technology. The big two each own a plant in Michigan dedicated to building transmissions. Months back, both had funding pumped in [GM investing $343 million and Ford $1.4 billion] for equipment to produce their newly developed 10-speed automatic transmission labelled "10R80". With fuel economy regulations becoming tighter around the world, manufacturers are scrambling to do whatever they can to help their cars save on gas. Having more gear options allows for a car greater flexibility in selecting the most ideal gear for its current driving conditions. With a ratio spread of only 7.4, this transmission allows for better acceleration and way smoother shifting, featuring six clutches computer-controlled by integrated solenoid valves vs the usual fluid pump and valve body. 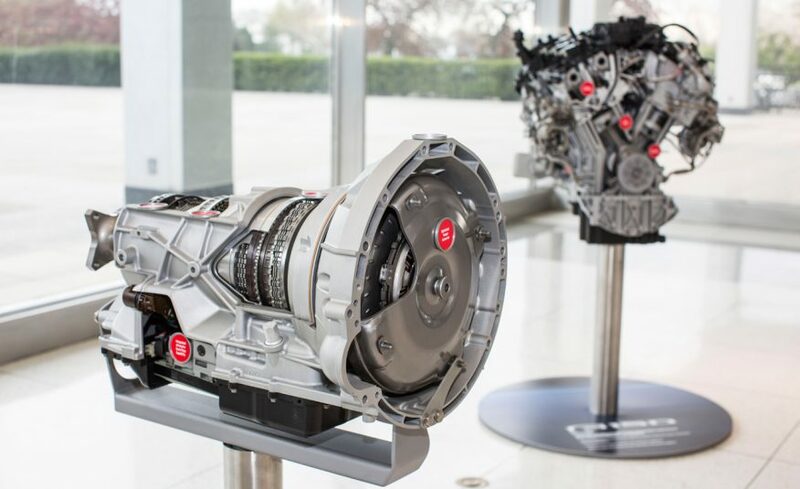 On top of that, the new transmission will be Ford's first without any cast iron, opting for advanced alloys to reduce weight as well as allowing it to take up about the same amount of space as the current six and eight speed parts. The icing on the cake is a newly concocted automatic transmission fluid, named Mercon ULV, which is 40% less viscous than previous formulas, allowing for less friction between moving parts. Front-wheel drive cars will be set up for 9 gears while trucks and rear-wheel drive cars will have access to all 10 gears. The first vehicles fitted with the new 10R80 will be GM's sporty new Camaro ZL1 and Ford's heavy hauling 2017 F150 EcoBoost model as well as Raptor models, showing off the transmission on both ends of the driving spectrum.